I like how she calls out guys like me who brag about how many trips we've taken or what powerful doses we've taken. But that was something back in the day each of us trying to top our friends' experiences. What I learned was how I built up a resistance to acid and I had to pace myself and trip only once every third day or so to ensure a powerful experience. I had to pace myself and trip only once every third day or so to ensure a powerful experience. ..there's something to be said for moderation. Apart from any other consideration, tolerance to LSD builds up, and vanishes, remarkably quickly. To get the same effect the day after a trip (not that I ever tried, you need to take 30-40 times the dose, while after three days you're down to maybe twice, and after a week back to single dose - which was handy for us, because every Saturday and the occasional Wednesday was our speed for a few years in my early 20s. And another consideration is that the day after a full-on trip - especially one that involved a lot of exertion, such as a hike, or 90 minutes of intense Frisbee freestyling – I was always pretty useless, with very little will or energy, which mattered very little if that day was a Sunday. I haven't read the article, Jimbo, but I'll get back to you when I do. Well, I was agreeably surprised by that, lots of good sense, although someone who considers cannabis and MDMA to be 'psychedelics' gives me pause. Especially as she didn't mention mescaline, DMT or Salvia divinorum at all - what a lightweight . And it's psychenaut, not psychonaut . I can see you're going to have a very zappy 70th! I tried salvia once and that was the most powerful and shortest trip ever. I had no idea. One puff and almost instantly the world came crashing around my ears. Thank god it only lasted a few minutes. Like cookies and milk, peanut butter and jelly, my favorite psychedelic combo was to eat hash and trip. It was cartoony like Roger the Rabbit world. Deebank wrote: A dragon turd? Thought it might be a ‘special’ cactus of some sort. My only observation to add is the rather less exciting revelation that it’s impossible to get pissed the day after taking acid (or mushrooms). I wonder if that’s why it’s being considered as a cure for alcoholism. Deebank wrote: Thought it might be a ‘special’ cactus of some sort. 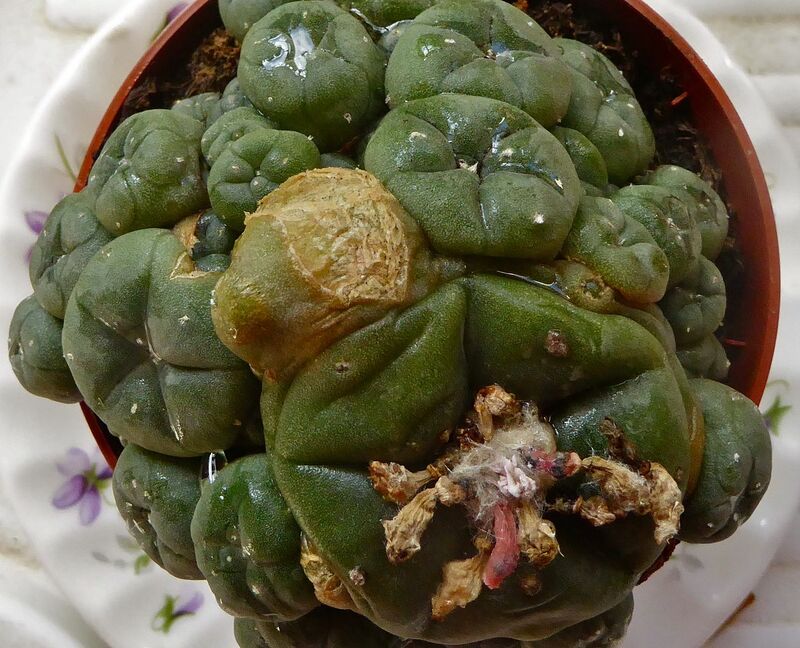 It's peyote. It's all good. Deebank wrote: My only observation to add is the rather less exciting revelation that it’s impossible to get pissed the day after taking acid (or mushrooms). I wonder if that’s why it’s being considered as a cure for alcoholism.